We all know the world economy is changing. We know it is changing fast. But do we really know how fast? Read on. In the spring, the International Comparison Programme calculated new exchanges rates for comparing output of different economies. At the time it suggested that China was the world’s largest economy because money went significantly further in China than previously thought. To get this inference, you had to do a bit of extrapolation from the 2011 base year. Now it is official. 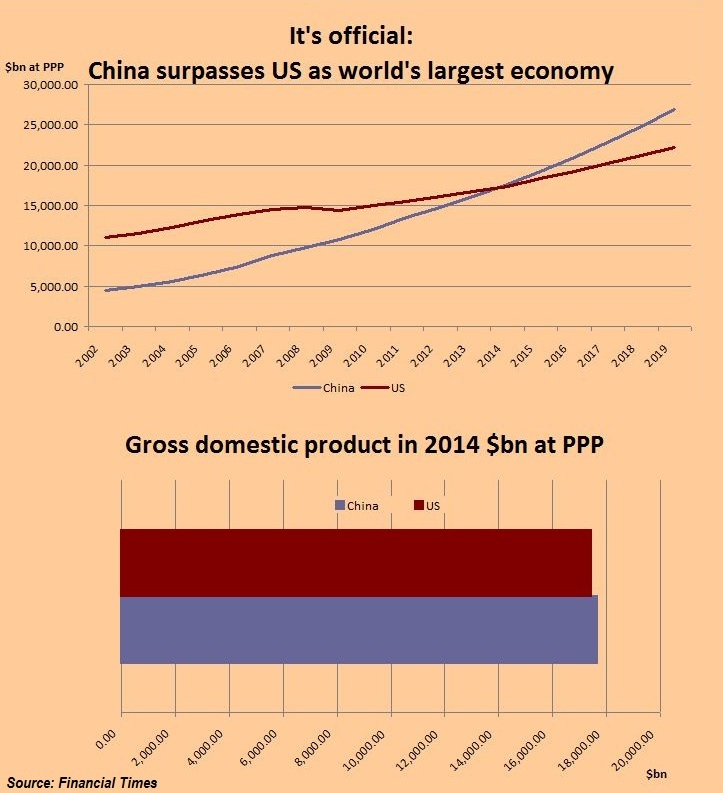 In 2014, the International Monetary Fund estimates the size of the US economy was $17.4tr and the size of China’s economy was $17.6tr as in the chart below. The speed of this transformation is shown in the next chart. 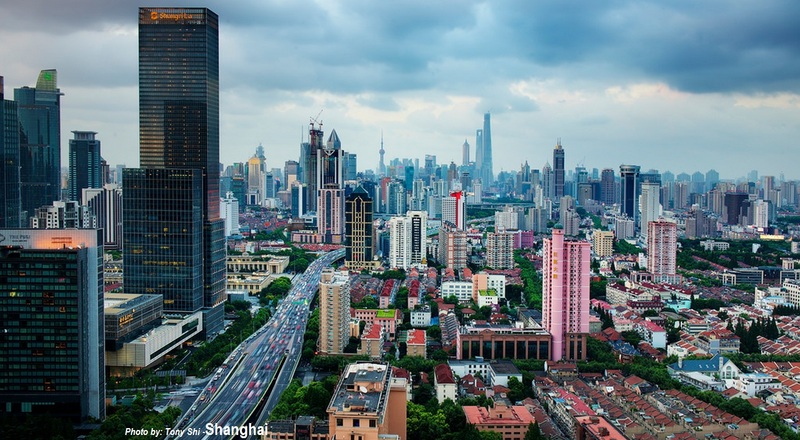 As recently as 2005, China’s economy was less than half the size of the US. By 2019, the International Monetary Fund expects it to be 20 per cent bigger. The China phenomenon is part of a wider expansion of emerging markets’ output relative to the advanced world. They accounted for more than 50 per cent of global output in 2007 and are roaring ahead, now accounting for 57 per cent, despite the fund being disappointed with their growth performance since 2011. And just to reinforce the point about the damage of the crisis to advanced economy prospects since 2007, ask yourself how many times faster emerging economy growth was than the advanced world between 2007 and 2014. Was it twice as fast? Five times? No, it was nine times as fast. Quite extraordinary.